Remodeling a kitchen can prove to be a tedious task. There are so many decisions that need to be made in order to make it not only aesthetically pleasing but also functional. The kitchen is often touted as the heart of the home, and you want to make sure that your kitchen at home will prove to be that for your family. One of the biggest decisions is what kitchen cabinets you should buy. They can set the tone for the whole kitchen after all. To help you in making the decision, here are some things you should look for when looking for kitchen cabinets for your kitchen. – first of all, if you are going to be investing in something, you want to make sure that it will be a worthy investment. Kitchen cabinets may not be as pricey as other furniture you have in your house, but because you will be spending your hard-earned money to buy them, make sure that they will last for years. Don’t just get the cheapest one you will find at the store, but you don’t necessarily have to choose the most expensive ones. You will need to do your to know which ones are of high-quality. Because when something is made with good quality, you can see it in the craftsmanship, regardless of the style that you choose. You can find some samples of great craftsmanship at RevivingVegas.com, a company that has over 25 years of experience in design and woodwork. You can be sure that not only will you be getting a good design but good quality too. – kitchen cabinets are one of the main components in a kitchen, but they are not the only one. If you are remodeling your kitchen, make sure that whatever kitchen cabinets you choose will blend well with the rest of the remodeling you will do. That’s why it’s a good idea to have an overall idea before you start making any purchases. Your theme does not have to complicated, it can be something as simple as a color to unify all the components in your kitchen. 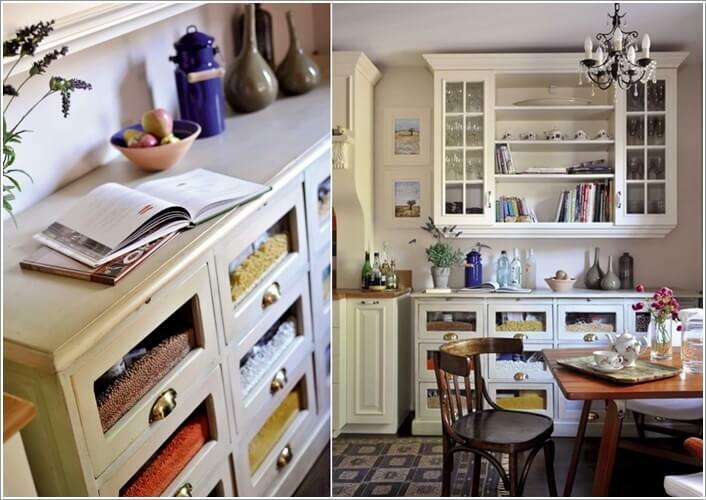 – kitchen cabinets are more than just decoration, their primary function is to be storage. Having a lot of kitchen cabinets will not be a problem when you have a big space, but if you have a small area for the kitchen, you need to find ways to ensure that they will be both look good but function well too. You can have your kitchen cabinets customized so that there will be hidden storage areas to hold all that you need it to hold. – make sure to check that the material used for your cabinets do not contain anything that can cause you harm or compromise the air quality in your home. Look at the chemicals being used, including the paints and finish used.